Currently there are more than five hundred under privileged children in 4 branches of Friendship School. Friendship School began the journey in 2012 in Tangail with a vision to illuminate the light of education among the underprivileged children of the society. 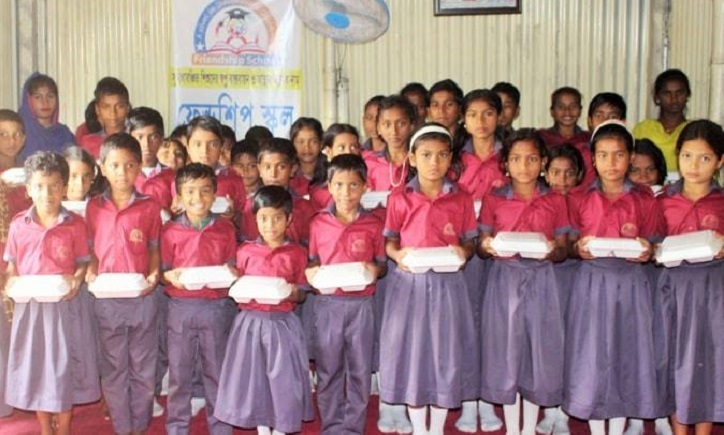 29 underprivileged poor children were found and the school was started. The young journalist and presenter Md. Juwel Ahmed took the initiative. When he started this school to ensure education among underprivileged children, back then he was younger. Young journalist of this time, Juwel Ahmed, always dreamed of doing something for the neglected and underprivileged children and the people of the society. Initially, 3 teachers were appointed to teach these children. Slowly it has grown up and currently there are more than five hundred under privileged children in 4 branches of Friendship School. Besides journalism this talented young journalist is involved in different empirical, social works and consultation. Whatever he earns, he spends the majority for the school to meet the expenses and teachers’ salary. There are also a few well-wishers involved with this small school. Dreamer, journalist Juwel Ahmed dreams that one day Friendship School will spread throughout the country and no child will be illiterate in Bangladesh. Dreaming is easy but it is very difficult to make it real. This brave young man is actualizing his dream in real. He alone, has been able to come so far, now if we pursue to stand beside a project like this, it is a matter of time to implement such initiatives all over the Bangladesh. At his age, everyone is busy with their own selves and this young man is busy with the thought of enlightening the society and the country. He is only 25. Just imagine how he took the responsibility of the studies of so many children at such a young age. He is teaching 500 poor, orphan and underprivileged children through this school. In order to give this program an organizational form, with some well-wisher, he established an education and charity organization called Humanity for Peoples. It is really amazing how a young man at this age is working for humanity and peace like this. This young initiative can be considered as a role model to establish world peace.